Fax machines. Jackhammers. Flatbed trailers. The one thing all the equipment, tools, and vehicles at your business have in common is that you need to know where they are at all times. Luckily, you have a wide range of free asset tracking software to choose from. Opting for free asset tracking comes with pros and cons, of course. The downside is that features tend to be limited, and the best of the best usually only come as free trials that run out after a matter of weeks. The benefit can’t be ignored, however: You’ll save plenty of money. Here’s our list of the best free asset tracking software available today. You can click each title below to jump directly to our mini review of each free asset tracking service, or simply scroll down to see them all one by one. Samsara is one of the biggest names in movable asset tracking, helping you schedule travel, track the activity of powered assets, compile billable hours for your clients, and more. 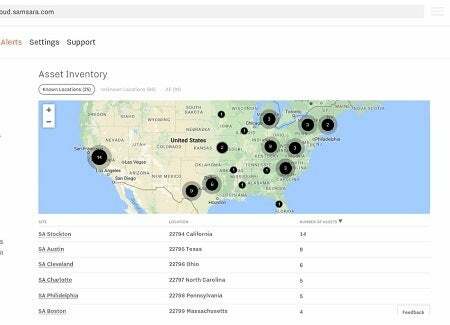 Reporting and analytics are a strong core feature, and alerts can keep managers aware of geo-fencing violations or an asset’s total engine hours on the job. Phone and email support is available 24 hours a day on weekdays and nine hours a day on the weekend. Feature-rich, comprehensive, well supported, and high-quality – what’s not to like? Nothing, except for the fact that the “free” part of this software is simply a free trial. Samsara even lets you install its hardware units for free, but the software license will run out after giving you a taste, and you’ll have to sign up for a paying plan to continue. If you need a long-term free option, keep scrolling. Asset Panda’s tracking software relies on barcode-scanning to log and manage assets. It specializes in a series of industries, including non-profits, hotels, and healthcare, as well as small businesses in general. A robust mobile app is used for scanning, as well as automatically GPS-tracking each asset scanned. Reports can be generated automatically using custom templates – in fact, pretty much everything within the asset tracking software can be customized, from the interface itself to the role-based security permissions that can be assigned to each user. However, it won’t work for live-tracking your powered assets or movable, high-value items. It’s also another free trial situation. You’ll have access to the full features for two weeks before your trial runs out. Beloved by thousands (over 12,500 active accounts, to be more specific), AssetTiger offers a permanently free, stripped-down service that tracks your fixed assets. Each account allows for unlimited users, who each get their own permissions level. 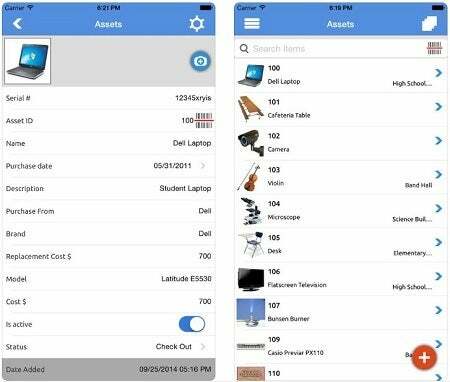 A mobile app for iOS and Android is available, letting managers track their assets on the go, while notifications can be set to remind users when maintenance is needed (an uncommon feature among free services). Not all of AssetTiger’s features are intuitive to understand, though a support team is available if needed. It’s aimed at fixed assets, not movable ones, and no significant billing or facility management is included. Overall, it’s a great service for the price – which is, again, totally free. As a web-based open source platform, Snipe-IT is a great choice for tinkerers who are comfortable adding their own third-party integrations to build the asset tracking software they need. It’s very secure and updated regularly – a huge boon for any open source program – though you’ll need to manually update it each time. 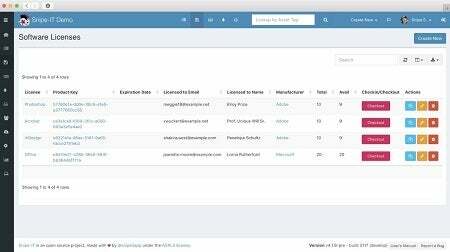 Functionality is pretty basic: Snipe-IT tracks assets and licences well, even including email alerts for expiring warranties or licenses, but there aren’t any extra bells and whistles. A paid tier is available for $39.99 a month, which includes server maintenance, automated backups/upgrades, and a full-time in-house support team. This asset managing service is targeted at IT-focused businesses. 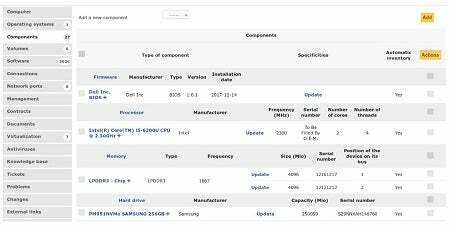 You’ll be able to inventory your hardware, manage your network and licenses, and easily generate reports on your assets, your inventory, and your latest network metrics. 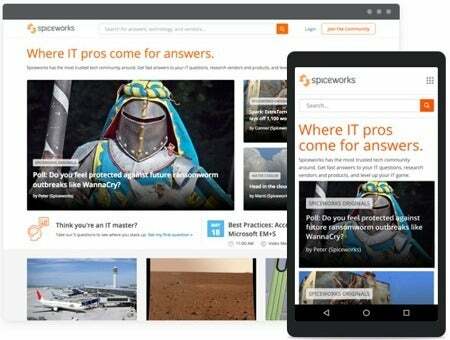 Spiceworks also integrates with your help desk, further centralizing your operation, and offers access to troubleshooting forums. The user interface might take a while to learn, but many IT pros swear by this totally free service. Manage all your computers and software licenses from a central location with Zoho’s IT Asset Tracker app, which can be found within the Zoho Creator platform. Three tabs let you manage assets by type: Machines, software, and hardware. A limited but useful list of third-party integrations includes Google Drive, OneDrive, and WordPress. 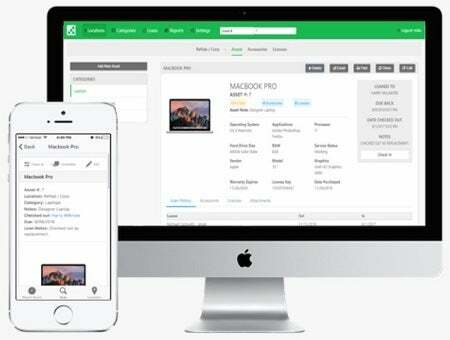 While the IT Asset Tracker is always free, you need Zoho Creator to run it. A paid version of Zoho Creator starts at $10/user/month, and includes data backups, reports, offline access, and notifications – all of which are pretty important. Zoho is a great free asset tracker for a small operation, but you’ll need to upgrade to paid as you grow; overall though, it’s still a pretty good deal. 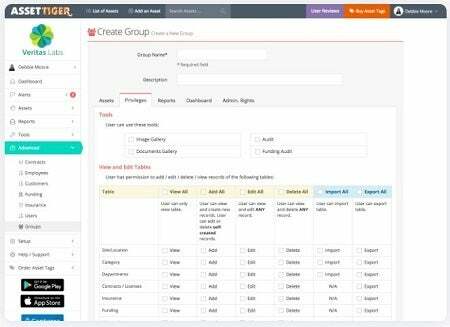 The free version of Reftab offers unlimited locations, categories, and reports, along with custom QR labels and a custom interface. However, you’ll be capped at just 50 assets. This may not be a concern for a small operation, but is likely to be troublesome as your business grows. Data can be imported and exported easily, and email alerts can be set as well. The UI isn’t the best, and some common actions are a little time-consuming. The paid version of Reftab starts at $4.99 a month, which allows you 1GB of attachments and up to 500 assets. Easily take stock of your IT hardware and software assets with this free IT-focused management program. It’s been around since 2002, and it’s still going strong. 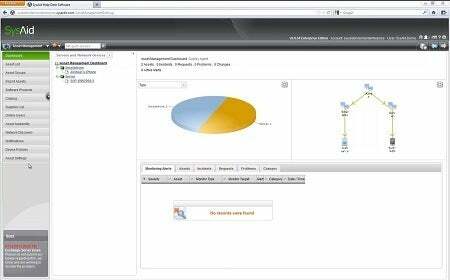 Features include license management, custom alerts, reporting, and even patch management options. Downsides include a cramped UI, plus the fact you’ll be capped at 100 assets (still, double what you’d get with Reftab). And only the on-premises service is free, not the cloud-based version. In other words, you’ll need to install the software on your local servers, and you’re responsible for keeping it debugged and running smoothly. 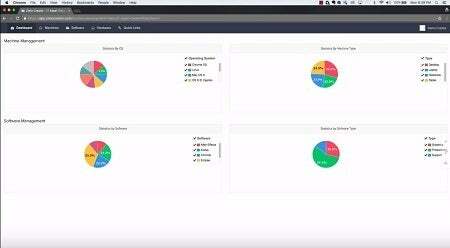 The open source, web-based GLPI lets you manage your IT expenses and budget, as well as IT assets and a service desk. You’ll be able to log computers, printers, network equipment, devices and phones. With the right plugins, you can add non-IT assets like vehicles or other tools. You’ll have the complete historical data on every asset modification, and assets can be tracked right down to their connections and network ports. You can also manage licenses, contracts and documents related to each asset. In addition to community support, GLPI has a FAQ page that you can visit when in need of troubleshooting advice. Free Asset Tracking Software: Too Good to be True? As you may have noticed while scrolling through your top options, even the best free asset tracking software will always come with a catch. The trick is to pick a software with disadvantages you can live with. Free trials are not a sustainable option, and are the only real issue with big names like Samsara and Asset Panda. Trials aside, if you’re looking for free software your main concern should be with which features are absolutely essential. One of the most essential but easy to forget about features? Data backups. If you aren’t backed up, you could potentially lose an entire business’ worth of asset documentation. As a result, Zoho’s ‘free’ version isn’t that attractive, although it has other desirable features. Offline access is also pretty important, as losing internet can set you back for hours otherwise. Another important free caveat to watch out for: asset caps. You never know when you’ll need to add more, and unless you’re just running a farmer’s market booth, you can easily surpass 50 or 100 assets. Finally, if you’re not the technically capable type and don’t have a dedicated IT employee on staff, you’ll likely want to avoid free options without support or hosting included. Similarly, open source software – as flexible as it is – will likely be too unwieldy to rely on. Of course, if you’re willing to spring for a paid asset tracking system instead, you’ll be able to find a full-stack asset manager that can handle not just movable and fixed asset tracking, but employee scheduling, routing, and billing as well. If you’re considering paying for a more comprehensive, high-quality asset tracking system, you’ll need to find out how the best systems stack up against each other. You can find the best asset tracking supplier for your company’s needs in a flash: Just fill out our one-minute comparison form here, and relax as we find you the best deals.